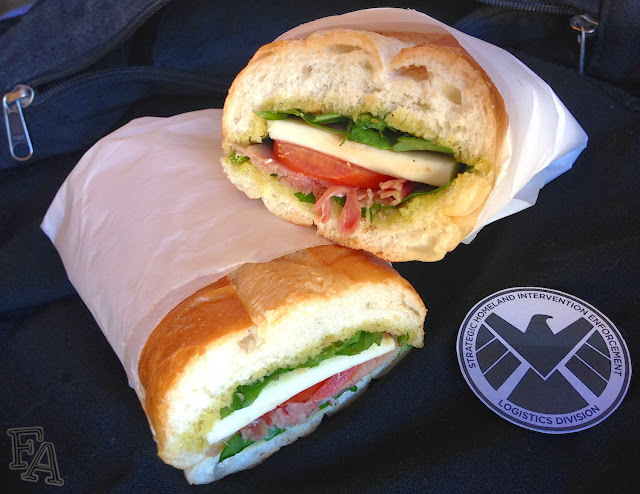 Fiction-Food Café: The Fitzsandwich from "Marvel's Agents of S.H.I.E.L.D." 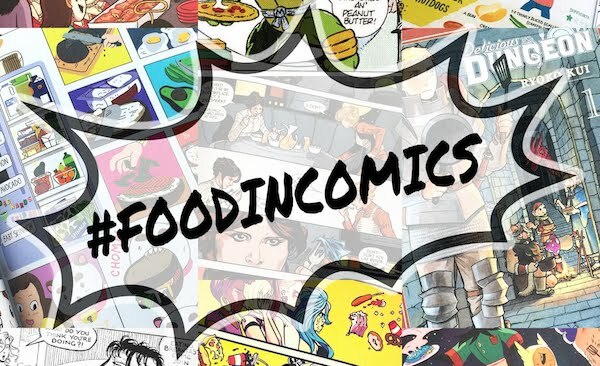 Recipes from books, TV shows, movies, and video games! 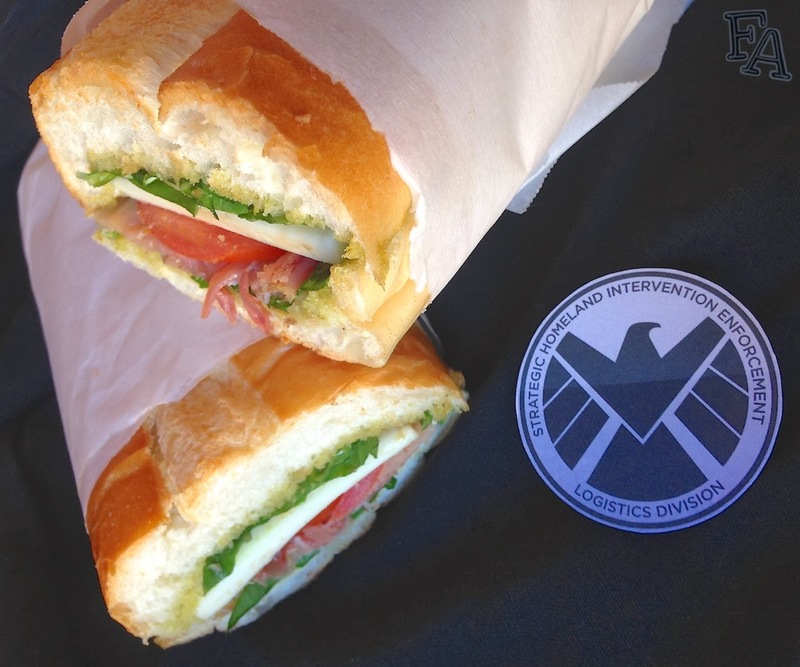 The Fitzsandwich from "Marvel's Agents of S.H.I.E.L.D." In last week's episode of "Marvel's Agents of S.H.I.E.L.D." 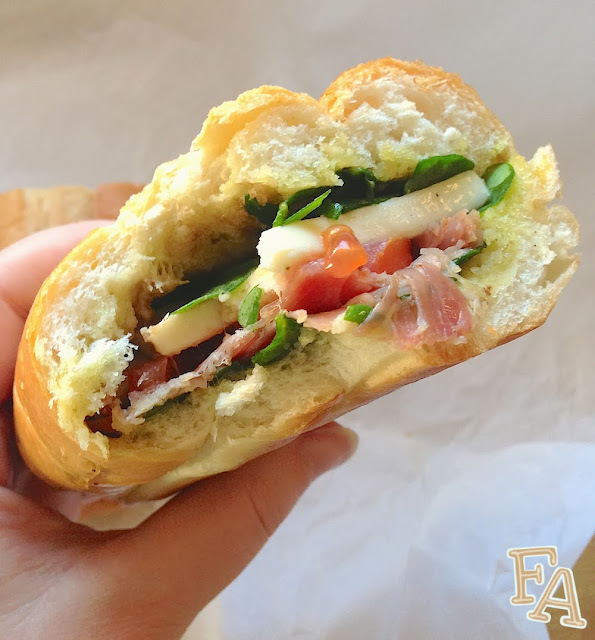 ("The Hub", s.1, ep.7), while Fitz is packing for a dangerous, two-man mission (his first), sweet Simmons gives him his favorite sandwich to take with him; prosciutto and buffalo mozzarella with a hint of homemade pesto aioli. Sadly, deep in enemy territory while hiding from pursuers, as Fitz is about to take the first bite of the beloved sandwich, Ward tosses it. Poor Fitz. But those tracking dogs sure had a nice meal. As the episode continues, Fitz mentions the lost sandwich several times, culminating at the end of the episode, when Ward and Fitz are reunited with their team on The Bus, with Simmons asking Fitz how the sandwich was. He looks directly at her, tall with his first, nearly inescapable mission at his back, and says, "it was delicious." You da man Fitz! What awesome writing from the "S.H.I.E.L.D." creative team! 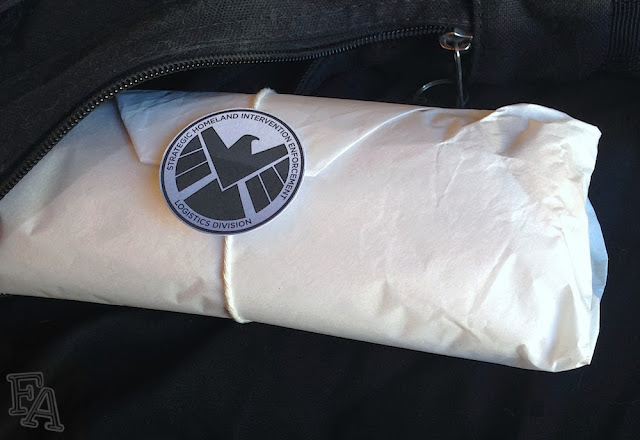 The whole episode was a sandwich of both the actual sandwich and of Fitz's character as it was explored and brought to light for us, the viewers. Fitz was always awesome, we just didn't know it, or know to what extent, and it all came out via a dangerous mission with no extraction plan, a request to look out for his mission companion, and a sandwich made with love. The Fitzsandwich. Booya. Note: Buffalo mozzarella is hard to come by in a regular grocery store, but you can usually find a package or small container of whole mozzarella in its juices (whey). Get this kind as it has a nicer taste and texture than sandwich slice mozzarella or even whole mozzarella packaged without its juices. Also, prosciutto is a pretty salty meat. That's why you don't need to add any salt to the aioli recipe below. 1. Combine all of the aioli ingredients in a food processor & pulse until thoroughly blended. In a condiment bottle or a small bowl with a lid, combine the dressing ingredients & shake until completely blended (optional). 2. Cut open a roll lengthwise & brush a thin layer of aioli on both halves. Lightly toast the bread in a 250°F oven for about 5 mins. How you layer the fixins is up to you. I preferred a little bit of green, then the meat (only a few pieces 'cause it's so salty), optional tomato, mozz. cheese, & then a little more green. Drizzle the optional oil & vinegar dressing on last. Cut it in half & eat it right away, or wrap it in parchment paper or special sandwich wrap paper & pack it in your mission backpack. Don't let Ward anywhere near it. Suggestion: If you wrap the sandwich in parchment paper, tie a string around its middle to keep the paper together. You could also wrap it in plastic wrap & then something like butcher paper or simply use deli paper. If you go this route how about keeping the paper closed with a S.H.I.E.L.D. 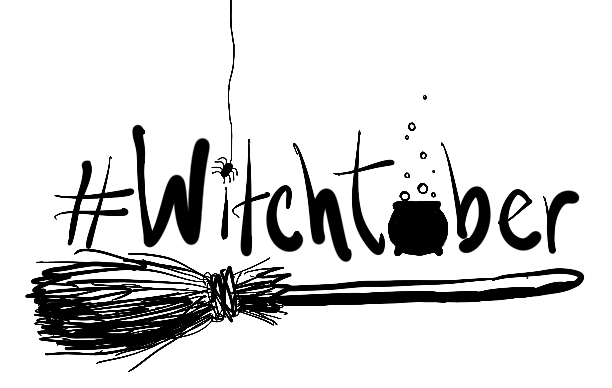 sticker? (Stickers won't work on parchment, the paper is too waxy.) Click here to download a sheet of S.H.I.E.L.D. logos to print out on sticker paper. Cut out the individual logos & affix to your wrapped sandwiches! He finally got to eat it this week, you know. "With a hint of pesto aioli." Honestly, this was the moment that restored my faith in the teamwork of FitzSimmons. Brilliant writing, and brilliant execution by everyone involved. Yes! I was so happy about that. It was a long time coming. This recipe is amazing! My family loved it! Well done, on a TV recipe!! Thank you! I'm glad you all enjoyed it! THANKS FOR RECIPE CANT WAIT TO TRY IT OUT THAK YOU!!! Thanks for the recipe -- I just made this and it was awesome! The only thing I would add for fellow readers is I thought a 1/2 cup of oil made the aioli too runny (but of course the consistency of aioli can also be up to personal preference). I'm so glad you enjoyed it! And thank you for the input about the aioli. It's definitely a good idea to start out with a smaller amount of oil and then add in more to your desired consistency. This is my family's favorite sandwich now!! Yay! I'm glad to hear it! My son has been begging me to make the Fitzsandwich for several weeks. Finally bought the ingredients today and made the sandwich. It was delicious! Thank you for the recipe. I made this panino today, it was delicious! Thank you for this recipe. All intellectual property on this website is protected and any use of its content will be prosecuted. If you would like to feature any content on this site in any way, shape, or form, either digitally or in print, contact Diana at ladyofnarnia@yahoo.com to ask for permission. Another great installment with immersive art and a transportive story that culminates with fast-paced action and ends on a tantalizing set up for the next book! Gah, this would be so amazing to see animated! More interesting creatures met and more depth to Hilda and her mom’s relationship. The issue of parent nostalgia and hope/expectations for their kids, plus kids doing things in their own way is an overarching theme in this one. Done well.